Summer 16 is already in production and most of you already knows what’s there in pandora box. In this post, I will share my favorite 20 features of Summer 16 release. 1. Clone Sandbox (Pilot) : This feature is not yet generally available however worth mentioning. Till now, we could create Sandbox only from production, however Summer 16 gives us a way to create brand new sandbox from other existing sandbox instead of production. 2. 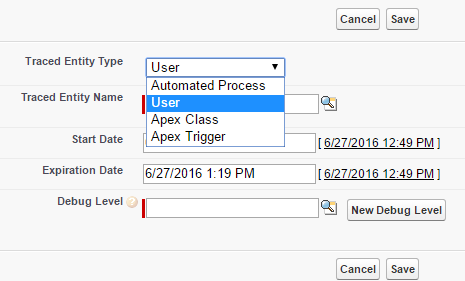 New Trace Flags in Debug Log : Now we can add trace flags on Automated Process, User, Apex Trigger and Apex classes as well. Before this release, we could only add trace flag on user. This enhancement will give developers more control over what to display in debug log and overcome debug log size limit problems.